You can imagine the chagrin of that fan and his resentment when the young catcher, who clearly heard the loud welcoming shout in the almost deserted ballpark, did not even attempt to turn his head to acknowledge the greeting. It wasn’t really the catcher’s fault because his name was not Dave Schmidt. The Red Sox scorecards had all been printed during spring training when many pundits were predicting the young Schmidt would be Boston’s catcher of the future. At that spring training, in February of 1980, Schmidt had been assigned uniform number 50. The guy wearing it that day, standing there by himself staring out at the Fenway playing field was Rich Gedman. 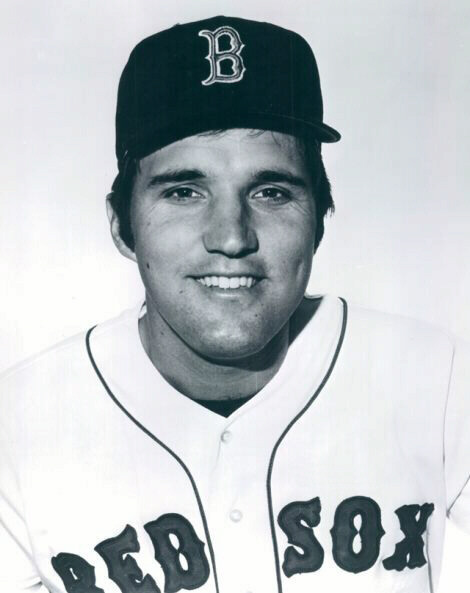 It would be Gedman who became the primary reason why Dave Schmidt’s Boston Red Sox and big league playing career would last a total of just 15 games during the first two months of the 1981 season. It would be Gedman and not Schmidt who would become Boston’s catcher of the future but it is Schmidt and not Gedman who’s birthday we celebrate today. So just in case you run into Rich Gedman today, don’t wish him a Happy Birthday because as history proves, he will simply ignore you.